Former Secretary of Housing and Urban Development Tom Kirkman survived when all other U.S. Cabinet members died during an explosion at the United States Capitol building. 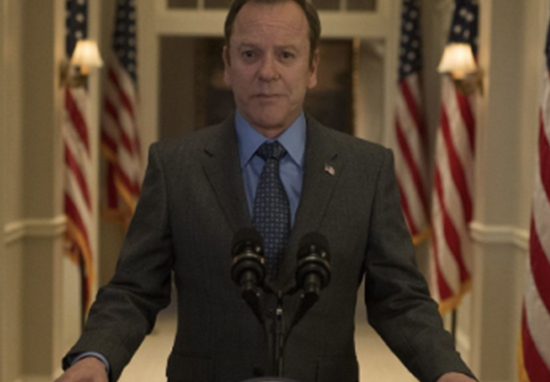 Kept safe at a separate location, Tom (Kiefer Sutherland) was named designated survivor at the time of the unprecedented attack; sworn in as U.S. president after all others in the line of succession were wiped out. Tom’s surreal transition from family man to one of the most powerful people on earth was compelling, and viewers took the accidental, terrified – yet ultimately quite capable – president to their hearts. And now the show which tells his surreal story is experiencing a similarly fortunate turn of fate. Once close to being dropped like many a good TV series, Netflix has picked up Designated Survivor for a third season. And quite rightly too. Critically well-received and suitably binge-worthy, viewers were left dismayed and puzzled when ABC canceled the show. Particularly as the second season ended on an extremely tense and unsatisfying cliffhanger. This shock cancelation was part of a wider cull by ABC, which even saw fan-favourite Brooklyn Nine-Nine axed before being shrewdly being picked up by NBC. Now Netflix have got in on the act, scooping up the political gem for their burgeoning global Netflix original collection. Timely and gripping, Designated Survivor has quickened the pulses of our Netflix members outside the US and Canada in its first two seasons. The international audience for the show drove our interest to bring the show to the world as a Netflix original for its third season and we are excited to bring the first 2 seasons to our US and Canadian members as well. Designated Survivor suffered with a 10PM time slot during its second season, losing a considerable number of viewers. However, the drama performed well when it came to delayed viewing; suggesting this show is best suited to a streaming service like Netflix, where viewers may watch multiple episodes in one sitting at their leisure. The continuation of the show via Netflix is a win-win for all involved. The story of President Kirkman and those around him has not been fully told, and we look forward to working with our new partner in continuing the show for a global audience. I am thrilled to have the opportunity to play President Kirkman for season 3 of Designated Survivor with Netflix, eOne and Neal Baer. One of the reasons Netflix saved Designated Survivor was saved by Netflix was because of how popular it is internationally. The fans around the world saved the show! Congratulations to all of you for believing. You’re an inspiration for others fighting for their show. It certainly appears there are plenty more intriguing avenues for the show to explore, with themes such as campaigning, debates, campaign finance and smear tactics all taking precedence as President Kirkman makes his bid for re-election. In accordance with contemporary concerns, the issue of ‘fake news’ will also be addressed. With so much interesting and relevant territory for this show to explore, it would have been a real shame to say goodbye so soon. Welcome back Mr. President!